Some electronic comparator device (e.g. 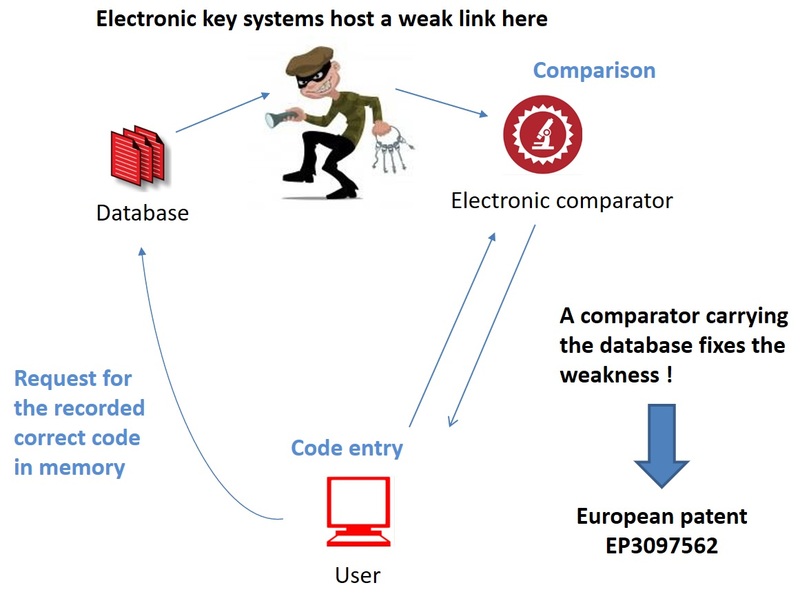 electronic key) have a security gap where malicious can output the memorise code and send a new code to the comparator system. Having a "hard" or "on-the-spot" analog comparison between the code (reference) and the user input (currents) would correct this security gap. Based on their magnetic film growth capabilities, clean room facilities and magnetometry and electronic characterization methods, researchers at Université de Lorraine proposed a simple electronic technology based on the extraordinary Hall effect where the security key is carried as a magnetic information in the comparator. Security key code cannot be read neither modified once it has been set. The technology is compatible with Si electronics and flexible substrate. It can be scaled from millimeter to nanometer size. One of the goal of CEA-SPINTEC is to realize Magnetic Random Access Memories (MRAM) based on spintronic. Such memories have improved thermal stability, lower power consumption and/or faster switching as compared with current semiconductor based RAM. 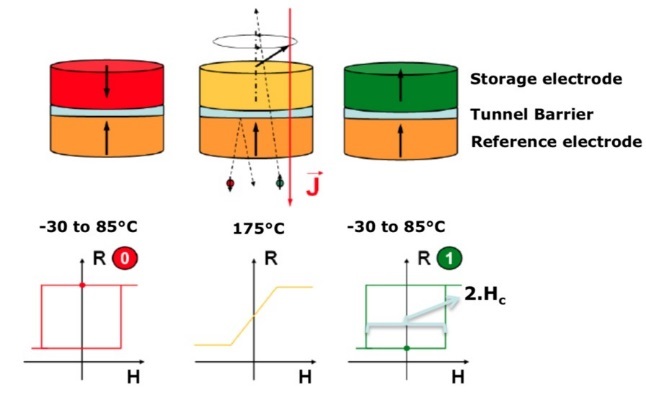 Thermal assisted Spin transfer torque writing in perpendicular MRAM cells allows large values of thermal stability, while maintaining a low critical current via the thermal re-orientation of perpendicular anisotropy storage layers. Optimization of MRAM relies on magnetometric characterization. Therefore SPINTEC has recently spun-off the startup Hprobe which offers a 3D magnetic field generator for magnetic devices and sensors wafer level characterization and testing. Amorphous and nanocrystalline soft magnetic materials obtained in the ribbon form wound or stacked into the final shape have superior application in power electronics, automotive and medical devices as: power transformers, chokes, power inverters, motor/pump stators. These products are developed and optimized within the scientific projects and the R&D works performed for external customers. Institute of Non-Ferrous Metals at Gliwice is expert in R&D activities on soft magnetic materials obtained via melt-spinning method in the form of the ribbons and final wound cores. Based on structural and magnetometry characterization, the nanocrystalline structure of soft magnet and the associated magnetic properties are shaped according to desire application.